Honda Civic Type R Running Costs, MPG, Economy, Reliability, Safety | What Car? Don’t dive into Type R ownership expecting run-of-the-mill hatchback running costs; clearly, a 2.0-litre engine pumping out 300bhp-plus isn’t going to be as parsimonious on fuel and CO2 emissions as a diesel. 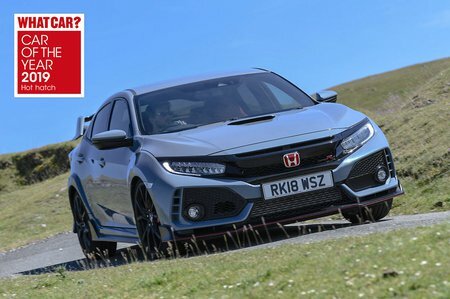 Once you’ve recalibrated your expectations, however, you can pacify yourself with the knowledge that, according to our real-world True MPG tests, the Civic Type R's combined 35.1mpg is actually good by class standards. CO2 emissions aren’t too bad for the class, either, although a Renault Mégane RS emits less. As for price, the Civic Type R sits between less powerful rivals, such as the Mégane RS and Hyundai i30N, and the very fastest of hot hatches, including the Volkswagen Golf R and BMW M140i. This is also the case if you're buying on PCP finance, although the Civic Type R is predicted to hold its value better than the majority of rivals. If you like to budget well ahead, a competitively priced five-year service plan is available. Then there's Honda’s famed reliability, which stood up to scrutiny in the 2018 What Car? Reliability Survey, in which the Japanese brand finished sixth out of 32 manufacturers. However, the regular Civic itself only earned two stars in the family car segment of the same survey, finishing 11th out of 14 entries. Still, at least there’s the reassurance of a three-year/90,000-mile manufacturer warranty. The standard car comes with a drive mode selector, adaptive dampers, 20in alloy wheels, single-zone climate control, LED headlights and keyless entry. 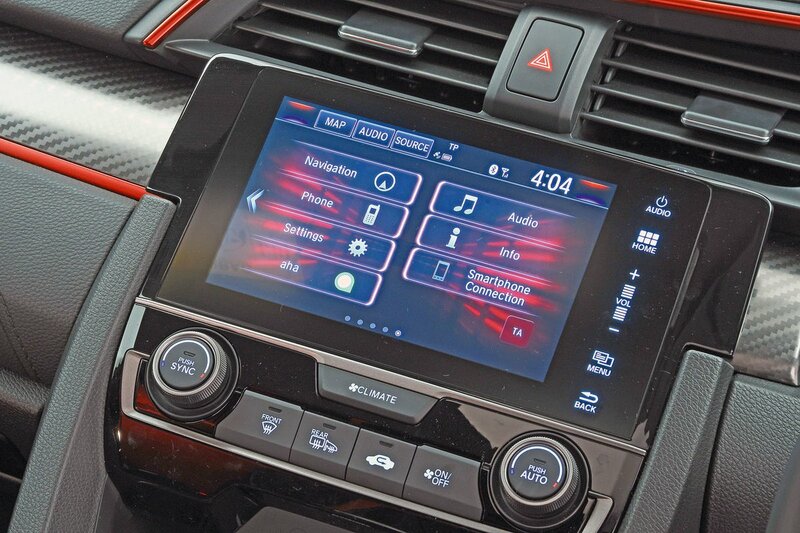 You also get lots of safety kit, including automatic emergency braking, traffic sign recognition, lane departure warning and automatic high beam assistance. However, we'd recommend upgrading to GT trim if you can; you'll get blindspot monitoring and cross traffic alert, parking sensors at the front and rear, dual-zone climate control, power-folding door mirrors and infotainment upgrades that include wireless phone charging and in-built sat-nav. You also get a more powerful 11-speaker stereo. Euro NCAP’s crash test concluded with a five-star safety rating for the Civic, with good scores in each of the individual categories. The Honda Civic Type R offers awesome performance and precise handling, and yet it's also a practical and comfortable everyday car. 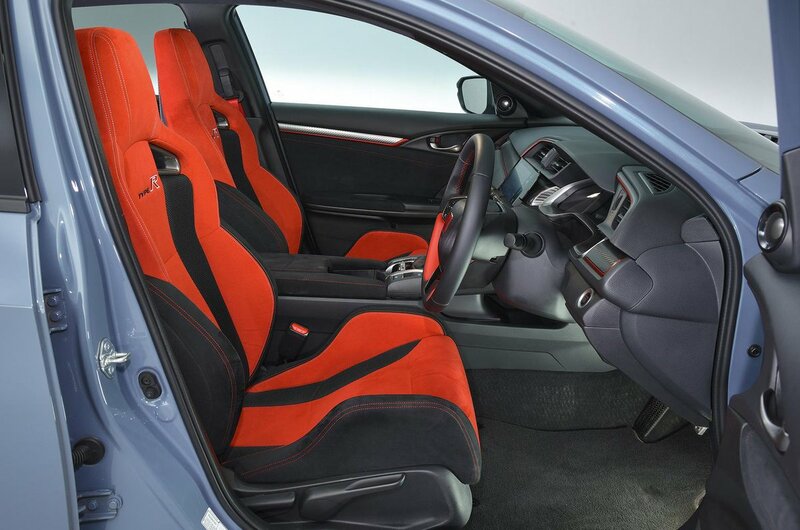 Sporty styling inside and out add to the Type R’s beefed-up persona while build quality and comfort is impressive throughout. That's why we voted it our 2018 Hot Hatch of the Year.